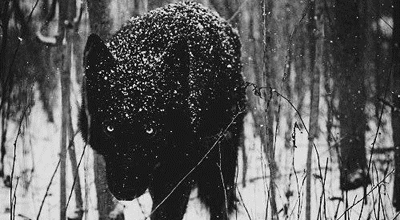 I am the wolf hiding under your bed;, teeth ground sharp, and eyes glowing red. Build: Hard hitting and fast. Wings: Dark on the outside w/ banding around the edges of her feathers, pale on the inside. Tae is Gaucho 2.0. She has all of her Father's battle prowess but with none of his vices. At least ... nothing that Tae considers to be a vice. She is headstorng and battle-drawn just like Gaucho, but speaks the native tongue fluently. She can get her point across with either words or actions, and, like her mother, oscilates between the two depending on the situation. She does not possess Gaucho's height, but possesses her Mother's formidable and daunting prescence. Tae is ambitious, and does not fear that she will live in her Father's shadow as some of her siblings do. She knows that she will outburn the Wildfire. Tae seeks dark spiritual magic. She wants to blur the lines between the living and the dead, and use and twist it against her enemies. [medium item] Wolf pelt with a buckle that cinches around her flank. I'm ODD. I play Gaucho the Wildfire, Isopia, Rhoa, and Shida! Email: Send Tae an email.